Sara Elizabeth Alcántara Ramos This deal was verified and it is working as described. 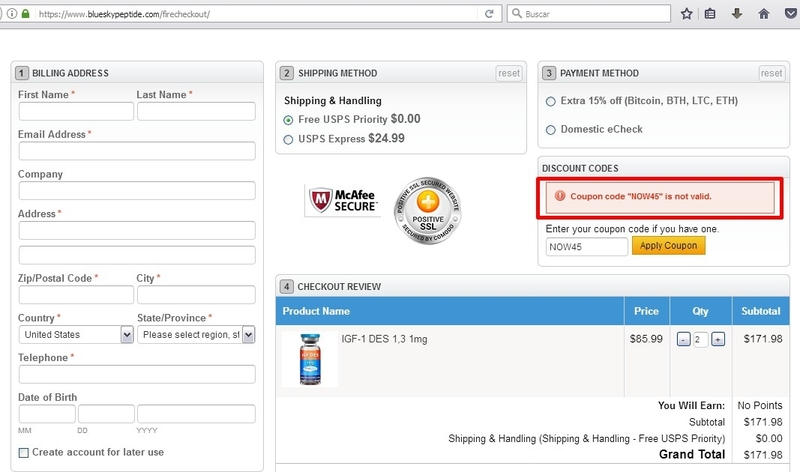 Simply enter code during the checkout process to apply this discount. 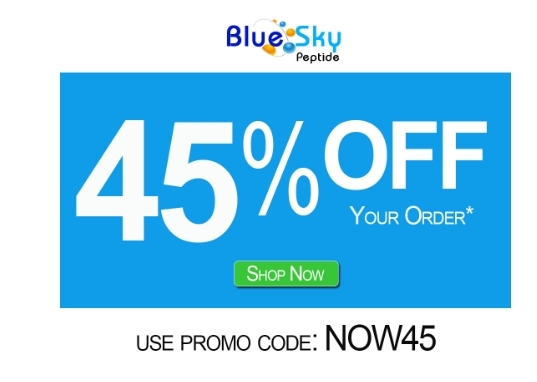 45% off your order ends Monday February 11th, 11:59pm EST. 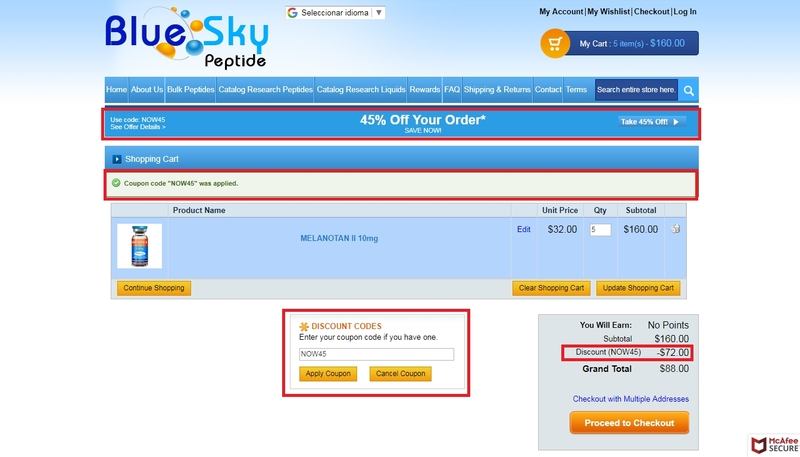 Promo codes cannot be applied to bulk products that are already discounted up to 78%. 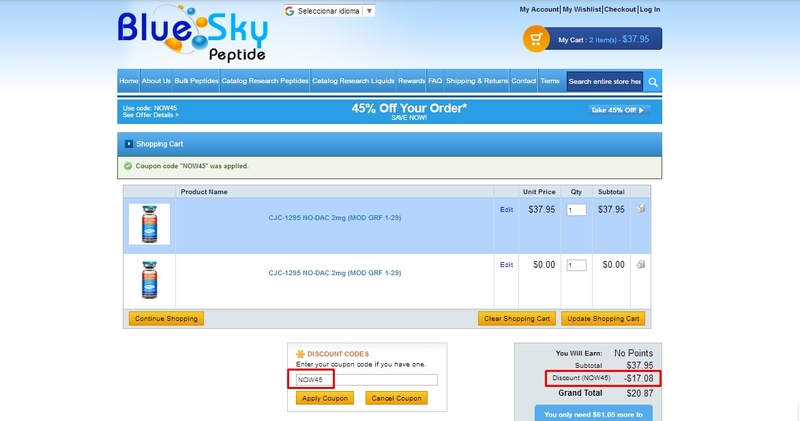 Disclaimer: Blue Sky Peptide products are intended for laboratory research purposes only. Not for human consumption. Any use outside of this is in violation of our terms of purchase. Guillermo Garcia I am invalidating this deal to remove it from Dealspotr. This code did not match any active gift card or discount.